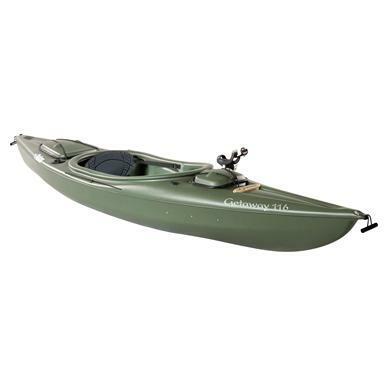 Wet a line while you're comfortably sitting in this Pelican® GetawayTM 116 Sit - In Kayak with Paddle! Well, friend... I can't guarantee you'll catch your limit... but I can promise you a comfortable seat and superior stability in this fishing craft! From a long-time leader in the boating industry, the GetawayTM 116 Sit-In Kayak with Paddle has the exclusive RAM-XTM hull and deck. Developed in 1978, this superior material has performed consistently and very well through the years and has become the benchmark in the industry for impact resistance and memory capacity. This simply stated is a measure of its ability to regain its original shape after any impact. 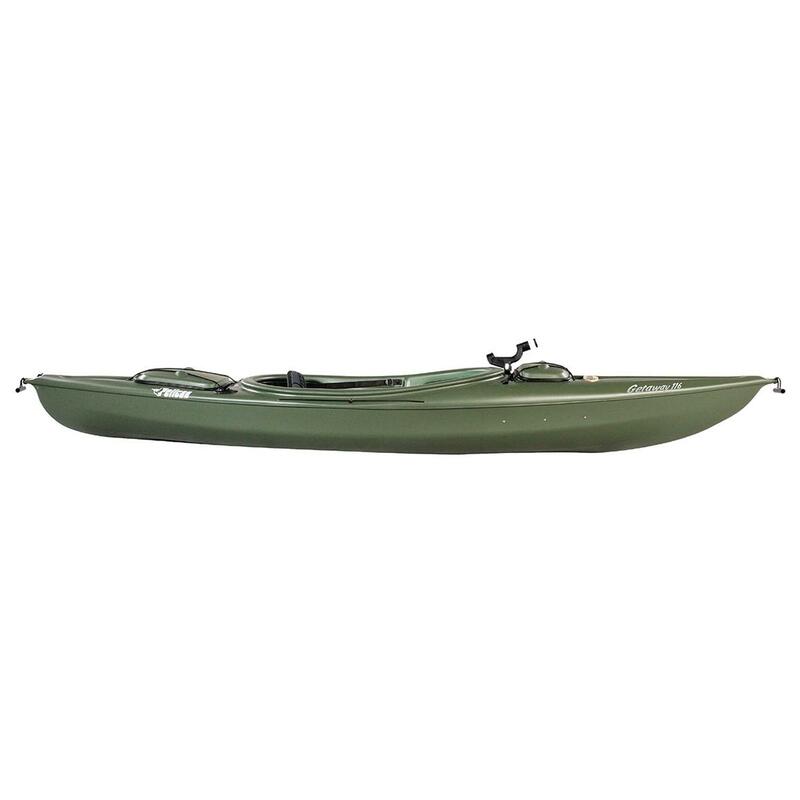 11'6"l. x 15"d. 28" beam weight 48 lbs. maximum capacity 350 lbs. 1-yr. limited warranty (extended to 2 yrs.. when you register your warranty within 30 days after purchase with Pelican® ). 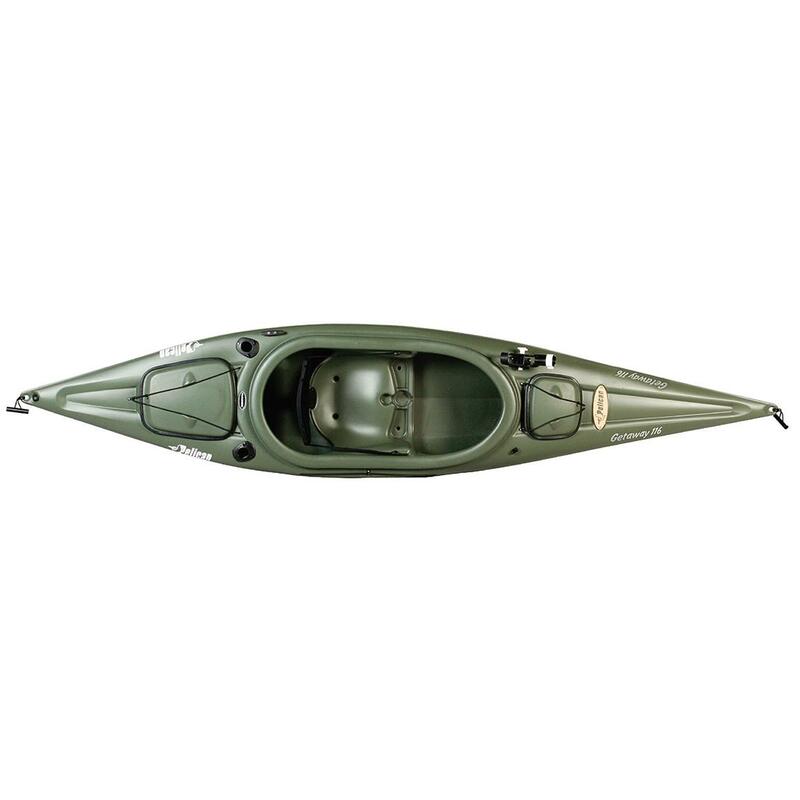 Order your new Kayak ONLINE today!